Enzymes are the work horses of the body in that they function to facilitate biochemical reactions necessary for activities such as muscle contraction, wound healing, digestion of food, metabolism of carbohydrate, fat and protein, and virtually all the numerous chemical reactions necessary for growth and vitality. The body manufactures approximately 4,000 different enzymes, and 22% of them require a helper molecule, a coenzyme, to carry out their activity. The relatively tiny B vitamin fits snugly into a specific site on the enzyme, much like a ball in a catcher’s mitt. This interaction between enzyme and vitamin must be a near perfect fit for the enzyme to be active. 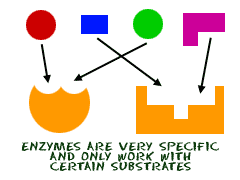 Once this reaction is complete, the enzyme, now known as a holoenzyme, can perform work for the cell. How can megadosing with a particular vitamin make up for some genetic errors? Vitamins must fit tightly in the pocket of the enzyme for full activity. If an enzyme is produced from a gene containing a genetic error (especially in the formation of the vitamin pocket), the error will most likely affect the ability of the enzyme to bind with the vitamin. This will result in reduced enzyme activity, because the vitamin will not be properly fitted to the enzyme. However, enzymologists working in the laboratory have demonstrated a method to force the vitamin into a pocket of an enzyme with low binding affinity. The technique involves raising the concentration of the vitamin, thereby increasing the chance of a productive interaction between the vitamin and its binding site (pocket) on the enzyme. This is precisely what is believed to occur in some of the 50 or so known genetic diseases that are corrected or improved by ingestion of megadoses of vitamins. The high doses essentially force the imperfect pocket to pop into the vitamin-binding conformation, thereby creating the active holoenzyme. Other genetic errors can also interfere with the transport of the vitamin into the cell. For example, a protein known as intrinsic factor is produced by the stomach and functions as a vehicle to carry vitamin B-12 from the intestine into the plasma. A defect in this factor will also produce a B-12 deficiency, which can be corrected by B-12 injections or high doses of sublingual B-12, both of which by-pass the intrinsic factor block. Since many vitamins have carrier proteins, this type of error is potentially more common than presently realized. Furthermore, stomach acidity is important in vitamin absorption and it is known that some individuals (more common in the elderly) have low vitamin absorption due to abnormal stomach acidity, which again may be corrected by high-dose vitamin therapy. One should avoid taking vitamins in excess of the safe upper limit (UL), unless prescribed by a qualified physician. This safe UL can be several hundred times the recommended daily required intake, yet clearly within the range of the vitamins and minerals present in one multiple vitamin plus a super-B complex per day. A complete list of vitamin-mineral UL can be found here. The U.S. Government’s dietary guideline of 5 to 7 fruits and vegetables per day is widely cited, but often not well understood. Will 5 fruits and no vegetables meet the guideline? What about all veggies and no fruit? Could it be that they mean 5 to 7 fruits AND 5 to 7 vegetables? Detailed examination of the guidelines reveals that the recommendation is to consume at least 2 servings of fruits and 3 servings of vegetables per day. The rationale is that different fruits and vegetables provide different nutrients. For further information, and details on what constitutes a serving, go to Dietary Guidelines: Build a Healthy Base. Although the need for vitamins and minerals is widely recognized, most people don’t bother to take supplements that would ensure adequate vitamin intake. A national survey by the Centers for Disease Control and Prevention produced data indicating that 60% of the U.S. population had not taken at least 1 vitamin or mineral in the past month. 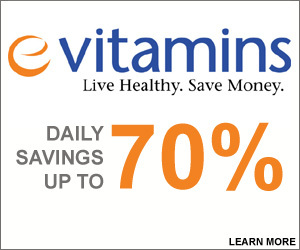 For most of us, vitamins are synonymous with good health. Yet most Americans do not take vitamins. Changing diet affects the need for vitamins, as does age, since older bodies don’t absorb vitamins as well as younger ones. Consult your physician to determine your need for supplemental vitamins and visit our site for more than 15,000 name brand items including vitamins, herbs, supplements, whole foods, baby care, bodybuilding, pet supplies and more! When it comes to maintaining a balanced diet, a healthy body and an environmentally friendly home, we’ve got you covered!